St. Paisius Monastery is an English-speaking monastery which lives out its monastic life with the blessing of His Eminence KYRILL of San Francisco and Western America (ROCOR) and His Grace Bishop MAXIM of the Western American Diocese (Serbian Church). The sisterhood had its beginnings over 30 years ago in northern California. At the newly established St. Paisius Monastery, many young women began to gather around the Abbess, who was then joined by other nuns seeking a traditional coenobitic life. When the sisterhood numbered almost twenty, the need for a permanent location became paramount. The sisters found suitable property in the high desert of Arizona. The desert terrain required much hard labor to subdue and cultivate, but the sisters accepted that this was a necessary part of their spiritual struggle. Over time, by the grace of God, a spacious catholicon was constructed which stands as the jewel of the monastery. In addition, an extensive olive orchard and fruit orchards have been planted, along with a sizeable vegetable garden to feed the sisters and the thousands of guests who visit each year. Also, many acres of land around the main buildings are now adorned with beautiful desert landscaping, the work of the sisters’ hands. To support themselves, the sisters publish books on the spiritual life, as well as numerous akathists with themes which support the Christian home and the struggles of Christians living in the world. With this aim, almost 150,000 copies of akathists have been printed. The Abbess of the monastery is Nun Michaila. The monastery is served by three chaplains, Archimandrite Dorotheos, Archpriest David and Archpriest Michael. 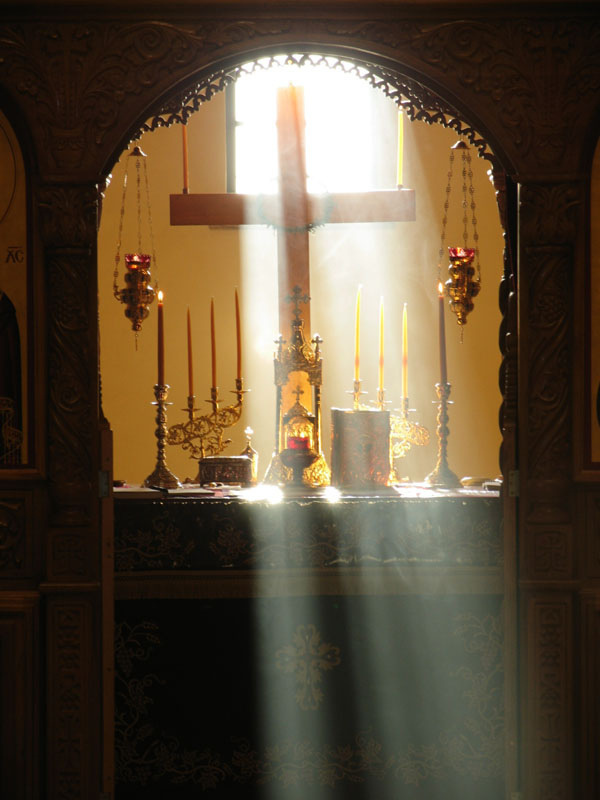 The Divine Liturgy is served several times a week, along with the full cycle of church services. Directions to St. Paisius Monastery. 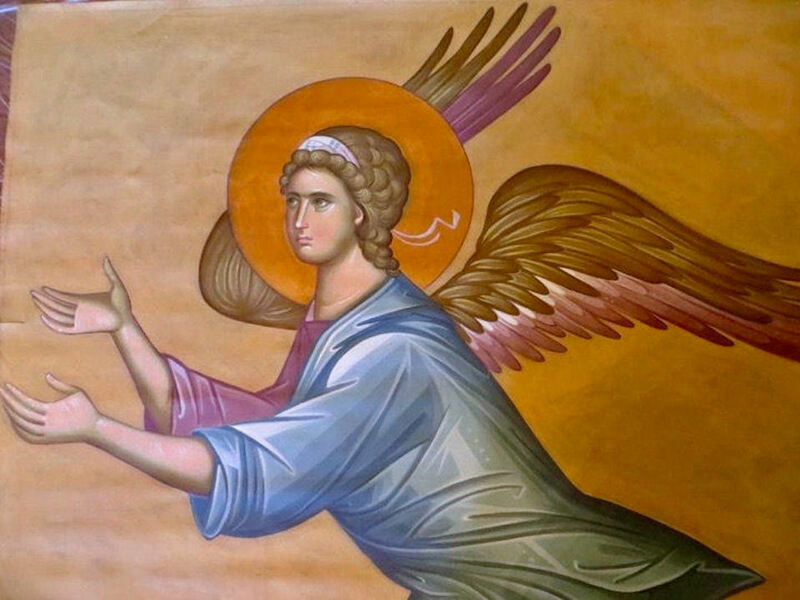 1st / 14th January 2018: Significant progress is being made on a long-term frescoing project at the Monastery of St. Paisius in Safford, Arizona, a women’s monastery in the Western American Diocese that is operated with the blessing of both our Diocesan Bishop, His Eminence Archbishop Kyrill, as well as the Head of the Serbian Orthodox Diocese of Western America, His Grace Bishop Maxim. Construction of the central temple of the Monastery, known in monastic terminology as the catholicon, was completed some years ago, and the enormous basilica-style edifice dedicated to the Dormition of the Theotokos (feastday 15th / 28th August) rises high above the desert landscape and is visible for miles in all directions. Divine Services have already been held in the new catholicon quite some time, its thus-far whitewashed interior beautified by the integration of a number of holy icons, banners and relics; as well as a beautiful wooden iconostasis and a distinctive pannykadila, or hanging ring of icons that surrounds the central chandelier, and in the combined Russian-Athonite style of the Monastery’s ustav, is swung in motion at various moments of festal Vigils. Icons of the Prophets and Apostles have already been painted for this, and are awaiting installation. 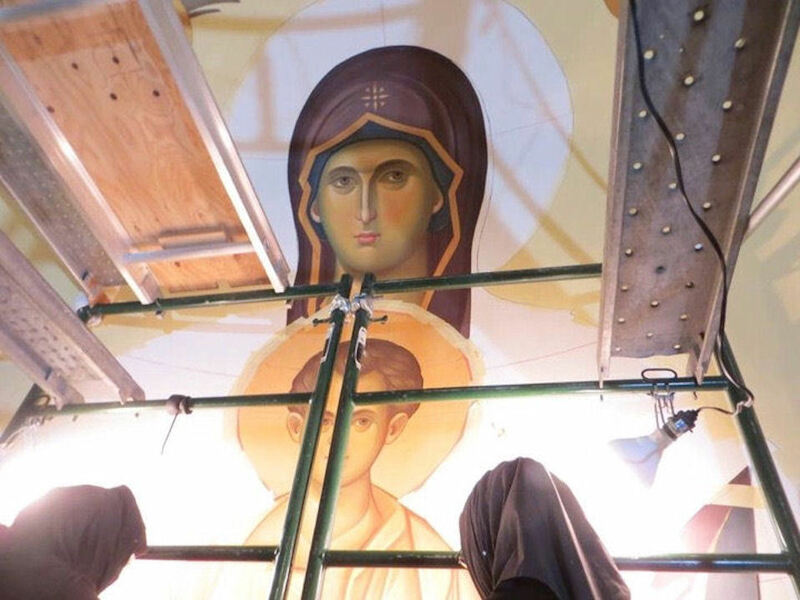 Instalment of these panels, which involves the erection and movement of scaffolding given the large spaces covered, is ongoing, and aims to be completed in its first phase during the first half of Great Lent. The Abbess and Sisters of St. Paisius Monastery appreciate the prayers of all in this time of work, and of the beautification of their Temple; and of course, they always welcome those wishing to make pilgrimage to the Holy Monastery for the fostering of their spiritual life. Contact may be made via telephone on (928) 348-4900 or via email available from the Monastery's web site: www.stpaisiusmonastery.org. Letters may be sent to P.O. Box 1075, Safford, Arizona 85548.